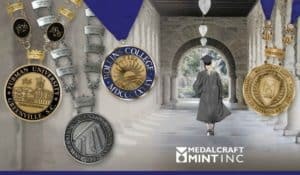 The ornamental chains of office worn by college presidents at official events such as commencement exercises typically are meant to last for decades. That was not the case for Concordia College Alabama (CCA), which closed its doors following the 2018 spring semester after 95 years of providing excellence in education in Selma, Alabama. Dr. James E. Lyons, originally hired as CCA’s chief transition officer, served as the college’s interim president as the institution completed the 2017-18 academic year. Dr. Lyons determined the college’s final graduating class should experience their commencement at the same level of pageantry as students at any other school, using his own funds to purchase an affordable chain of office for the occasion. 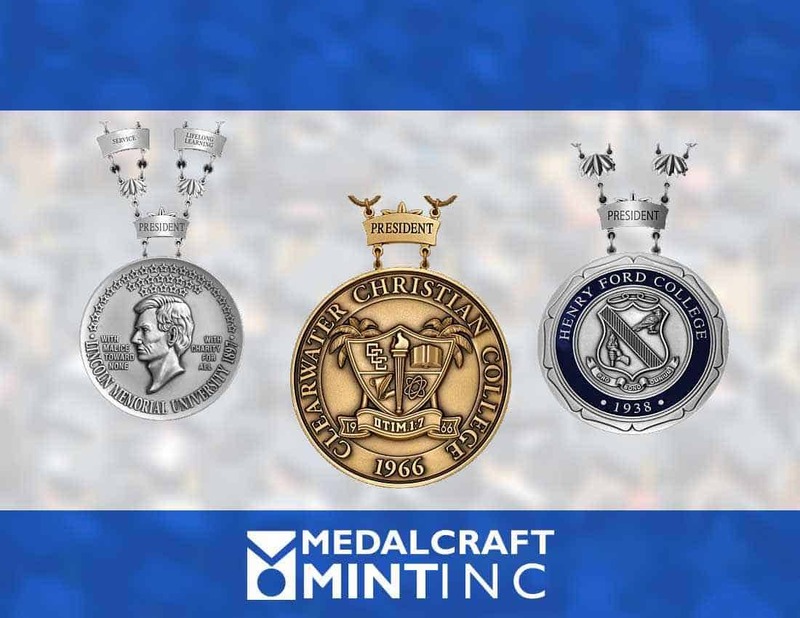 Medalcraft Mint used one of its stock medals with the CCA seal image engraved into the medal. 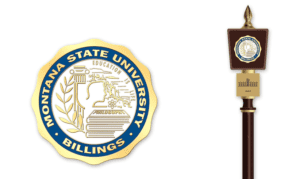 The 3½-inch brass medal featured an antique finish and brought a sense of official closure to the students’ college experience as well as a classy ending to the institution’s imprint on nearly a century of education. For more information about Medalcraft Mint’s chains of office or to request a quote, please go to http://medalcraft.com/ or call 800-558-6348. View original article on chains of office here.